Me: What?! I haven't even gotten out of bed! 2! 2! Phone rings. It's my bank. I know this is legit because this happened to me once before. That time it was Forever 21 and DSW, which I still haven't figured out how they knew that was fake! Hm, wonder what this one will be. Bank: We're calling to confirm fraudulent charges on your credit card. Ma'am did you attempt to charge $78.11 at a Domino's pizza today? Bank: We didn't think so because that Domino's is in Europe. Me: (Giggling) No I'm not trying to order $78 worth of Domino's in Europe! Bank: Spiel about closing my account, not responsible for the pizzas, issuing a new card, yada, yada. We hang up. Uncontrollable laughter ensues. If I'm in Europe, Domino's is the last place I would eat! Heck I don't eat it in the US. I'd eat Pizza Hut and probably even Little Caesar's (for the crazy bread!) before Domino's. 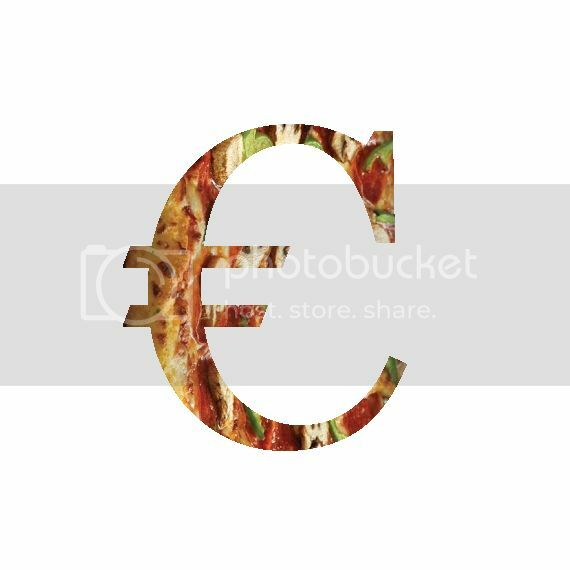 Are there really Domino's Pizza in Europe? Damn I wish I had asked what country specifically the culprit was partying in. I have visions of some stoned Frenchmen getting ahold of my credit card number and not going on a shopping spree at Louis Vuitton, but instead calling up Domino's and ordering 5 or 6 pizzas on a Saturday night. "We are so sick of this dreaded duck confit and these fresh baguettes and macarons! Give me cardboard pizza! Meat lovers! Ooh la la!" Or maybe it was Italy. Naples. "Ugh this thin crust bubbly pizza is so overrated! Played out! Hey, Mario, forget about those handmade leather boots you were going to buy on this chick's card. Let's order that Domino's! 2 for each of us! And then 2 bottles of the finest vino, Boone's Farm." Or maybe it was Poland, my own ancestors. "This crazy American changed her last name from a 'ski' to take a German name. So ridiculous! Let's quit making these pierogis for the party tonight and order up some Domino's on her dime! Get the one with the kielbasa on it!" I mean, seriously?! If you must try to steal from me, at least don't embarrass me.